These final weeks of March have, for some years now, been ‘busy’ weeks in our house in terms of celebrations. 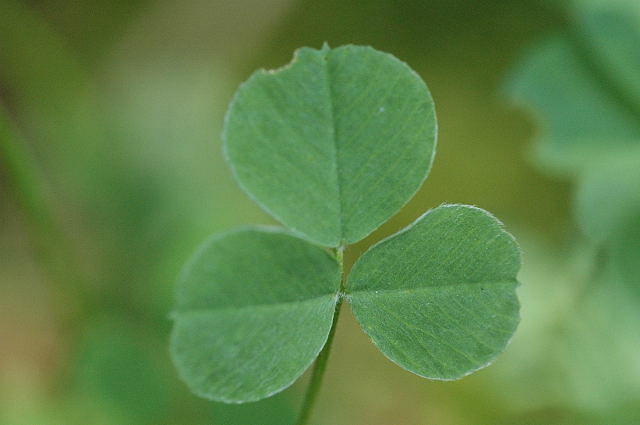 In Ireland, we have St Patrick’s Day on March 17th giving as it does, such welcome relief from the austerity of Lent. For Catholics, Lent meant 40 days of fasting and abstinence. Why did we say 40 days, when it is actually 46 from Ash Wednesday to Holy Saturday? On Ash Wednesday and Good Friday we barely ate anything as these were days of Fast and Abstinence. On Fast Days we were allowed 1 small meal and 2 collations – a collation being a snack. On days of Fast and Abstinence no meat was allowed. This always amused me as most people could not afford meat every day of the week anyhow! So for Lent – no sweets, no biscuits, no cakes – and when I was growing up 60 years ago in Donegal, no dances, no cinema, no marriages, in fact not much of anything. St Patrick’s Day allowed us to ‘break’ Lent and gorge on cake and sweets, have milk and sugar in our tea and eat tons of Kimberley and Mikado biscuits. I have a secret – my birthday happens not long after Paddy’s Day. Try as I might my birthday always always falls in Lent, and has on a few occasions even fallen on Good Friday, a dismal day for a child to have a birthday! This misery continued for 18 years and so for my entire youth I was a begrudging victim of circumstance. When I went to live in England in the 1960s I discovered several things: English Catholics did not have the same rules about Lent as we had in Ireland. They could even eat meat on Fridays and in a diverse society there were normal happy things happening – dances, weddings, cinemas were open, people ate chocolate and potato crisps even on Good Friday! Not only this, but they heartily celebrated Mothers Day, which falls in Lent. Mother’s Day was then unheard of in the Donegal Highlands. ‘Mother’s Day’ is not an invention of Hallmark cards, but in fact has its roots in ancient history. In Ireland, as in the UK, Mothering Sunday is celebrated on the 4th Sunday in Lent. In other parts of the world it is usually celebrated in March, April or May. Celebrations of motherhood can be traced back to the Ancient Greeks and Romans. The ancient Greeks held a spring festival dedicated to Rhea, the mother of the Greek Gods Zeus, Poseidon and Hades. They also celebrated the Festival of Cybele, Mother of The Gods, at the time of the March equinox and this was later adopted by Romans who celebrated it around the Ides of March ( March 15th to 18th). Also in ancient Roman religion there is mention of the Matronalia when women got gifts from their husbands and daughters, husbands were expected to offer prayers for their wives and slaves were given a day off work. Several Christian denominations, including Anglican and Catholic, celebrate Mothering Sunday. It falls approximately mid Lent, on Laetare Sunday (‘Laetare’ means ‘Rejoice’). On this day, there was a relaxation in the austerity of Lent. In Elizabethan times, girls who had been hired out as servants were given a holiday in the middle of Lent, so that they might visit their families. In the 16th century there was a practice of returning to the ‘mother church’ (the main church of the area), which meant that children in service would be reunited with families on that day. To prove their new-found cooking skills, they brought home a gift of a ‘Mothering’ or ‘Simnel’* cake. Dairymaids or laundry maids who had no cooking skills, would often be presented with a ’mothering cake’ by a sweetheart. Simnel Cake – a very old Mothering Sunday custom . Image Commons.Wikimedia. The Lenten fast was at that time very rigorous, so the cake was made with a rich mixture so that it would keep until Easter. They also picked wildflowers for their mothers as they made their way home and the wild violet became a traditional gift for mothers. The tradition of Mothering Sunday gradually died away over the decades. It is said to have been revived during World War 2 by visiting American and Canadian soldiers who celebrated Mother’s Day on the second Sunday in May. The celebration was indeed revived but the original day – the fourth Sunday in Lent – was retained in these islands. Our Mothering Sunday has now become Mother’s Day, (and is nowadays heartily celebrated in Ireland) but call it what you will, it remains a day to celebrate motherhood in general and your mother in particular. Happy Mothering Sunday to all mothers! * I have an old recipe for Simnel cake. If anyone would like to have it, please email me. Badges, Shamrocks and Going Green for St Patrick’s Day.Update of an earlier post. St. Patrick’s Day…When half the world turns green and the other half is out parading – or so it seems! Airports, rivers, waterfalls, tourist features, buildings, beer and people the world over – all in green livery for the ‘big day’. From Pyramids to Google Doodles– they are all ‘at it’! But, it is far from all of this that we were reared! 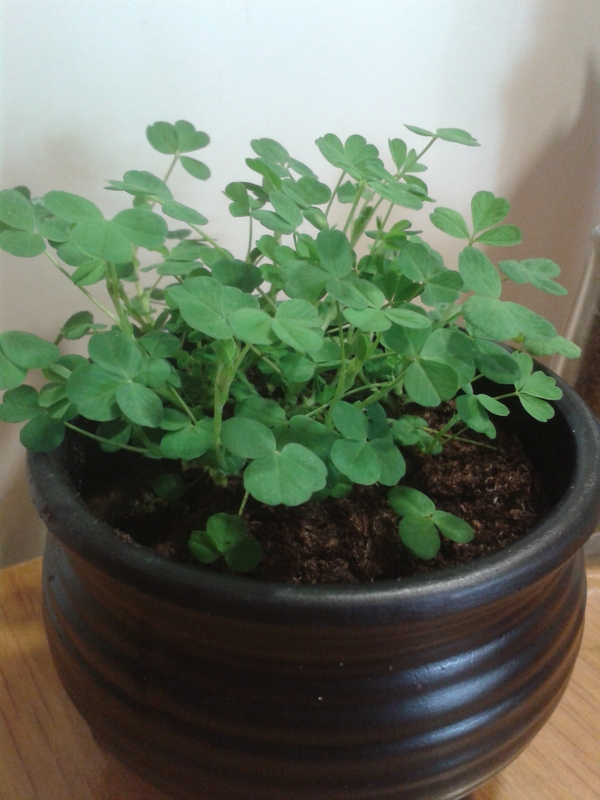 This little 3 leafed plant looks like the Shamrock that we used to pick for St Patrick’s Day. It grew tight to the ground and was difficult to pick the little sprigs.